Like Cape Cod homes of the same era, Saltbox homes originated in New England and Atlantic Canada as homes for European settlers. 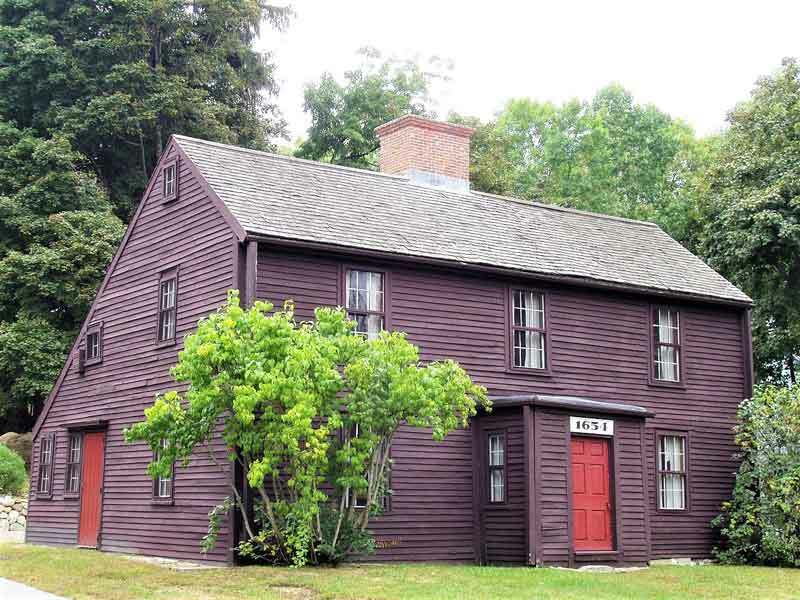 These buildings were simple in design, with rectangular exteriors, high pitched, gabled roofs, and plain central entrances – in many ways exactly like Cape Cod homes, but with extra elements to accommodate the ever-evolving nature of colonial life. Saltboxes were also typically situated farther inland than Cape Cod’s, which helped encourage their more complex designs. Most Saltbox homes were built using traditional post and beam methods, with metal nails employed sparingly because of their high cost. Exterior walls are often very simple, featuring shingle or clapboard siding. While the Saltbox style originated and was used primarily for homes, modern builders have adapted the form for other purposes such as churches and university campus buildings.